He’s got the stats to back up the handle. On Linked-In, the social media site favored by many professionals, Pettis has more than 2,300 connections. In 2012, his LinkedIn profile was in the top one percent of viewed profiles. And while you might not read his name in the newspaper, Pettis was instrumental in bringing about a deal that culminated in the April 2013 announcement of the Pinewood Atlanta development, a full-service film and entertainment studio complex located on 288 acres in Fayette County. It’s all part of the job, Pettis says. In April 2012, Matt Forshee, president and CEO of the Fayette County Development Authority, arranged for Pettis to meet with Fayetteville developers working on behalf of private investors. They wanted to put together an 11-acre studio project from scratch. “I was asked to help with finding the studio for the project,” he says. “It turns out I knew a guy, as I often do. I made an introduction to an entertainment attorney friend of mine who represented Pinewood Studios in the deal.” At that point, Pettis bowed out but the project exploded – in a good way. The development quickly grew to 288 acres, including studios for film, television, music and video games. Additional phases of the project will add a workforce development component and office and warehouse space. The economic impact on Fayette County is estimated at $10.4 million in the first development phase alone. 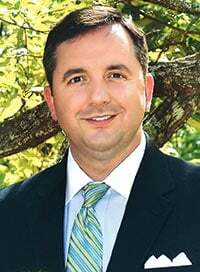 A native of Thomaston, Pettis graduated from Georgia State University and worked in financial institutions on the commercial lending and business development side of the industry. He developed a knack for networking while working for brokerage house Bear Stearns. “I learned by working with some of the best producers on Wall Street,” he says. His networking ability is one reason Wells Fargo recruited him. “I’ve worked for regional banks that are fine institutions, providing service in a certain space,” he says.